Nowra apprentice Fearghus Von Prott, 20, working at Mercedes-Benz Sydney, was humbled by the decision of WPC Group to award him with a cultural and career development scholarship to tour Kentucky, United States in September. Fearghus’ interest in the automotive industry sparked when he was in Year 10 playing around with an old car. “It was interesting finding out how it all works, it got me thinking of doing an apprenticeship like my older brother who is also an apprentice at Mercedes Benz,” he said. Growing up in Nowra, Fearghus tried to secure an apprenticeship locally, but there were no vacancies. Fearghus relocated to Sydney where there are more opportunities and has been adjusting to city life. “I had to rapidly become independent,” he said. “I’d like to thank MercedesBenz Sydney for taking me on as an apprentice to prove what I can do to the skilled technicians they have. 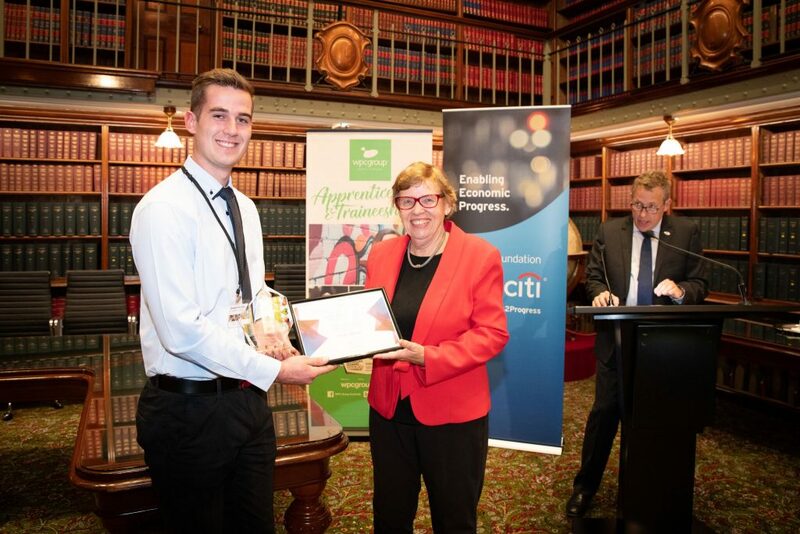 “I want to thank WPC Group for mentoring me throughout my TAFE studies and providing me with continued support in guiding me through my automotive apprenticeship.” Nathan Ellery, the NSW State Manager of WPC Group praised Fearghus for his efforts. “Fearghus was given this opportunity based on merit and he has proved to be an asset to their business, we look forward to Fearghus growing within the Mercedes-Benz Sydney beyond his apprenticeship,” he said. The purpose of this scholarship is to see first-hand how Mercedes-Benz America approach skills in the area of automotive. They will bring back an experience that they can share with others in their workplace. The scholarship is funded by Skilling Australia Foundation, the philanthropic arm of WPC Group. Skilling Australia Foundation bridges the gap between unemployment and a meaningful career for disadvantaged young Australians. The foundation will provide each apprentice: A chaperone/mentor Mercedes-Benz branded uniforms and protective equipment Cover the costs of all flights, transfers, accommodation, meals, and insurances.